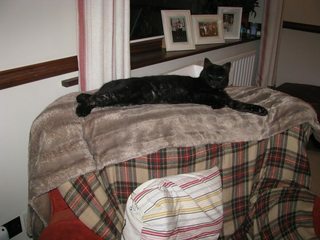 Genie is a loving 5 year old cat who is looking for her forever home. She loves to sit on your lap and is very affectionate. She is neutered, vaccinated and microchipped. Please Enquire. 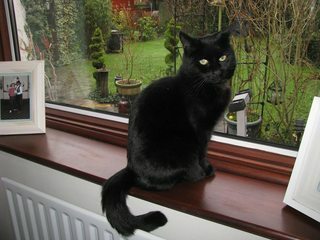 Billie is a lovely 5 year old cat who loves cuddles and playing with toys. He is neutered, vaccinated and micro-chipped. Please Enquire. Patch is a friendly 12 year old mixed breed male cat who is looking for his forever home. Patch is neutered, vaccinated and micro-chipped. 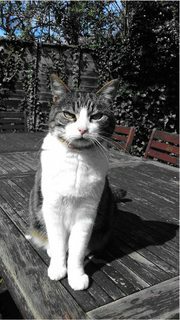 Patch has lived in a home with another cat. Patch has lived with a dog and will ignore them. Patch has been used to having access to the outdoors. Please enquire. Poppy is a friendly 12 year old mixed breed cat who is looking for her forever home. Poppy is neutered, vaccinated and micro-chipped. Poppy has lived in a home with a cat. Poppy would prefer a home without dogs. Poppy has been used to having access to the outdoors. Please enquire. 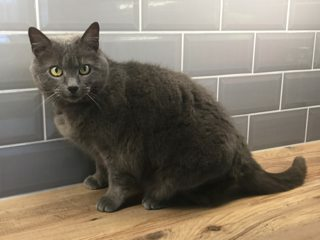 Stella is a relaxed, well behaved 16 year old female British Shorthair crossbreed cat who is looking for her forever home. Stella has been used to having access to the outdoors but is also happy staying around the house for long periods. Stella is neutered and vaccinated. Please enquire.